Imatinib Mesylate – The turning point for chronic Myeloid Leukemia Survival. This is a tyrosine kinase inhibitor indicated in the treatment of diagnosed chronic myeloid leukemia (CML). This is a condition, which involves an abnormality in the formation of myeloid stem cells, which have a role in the formation of platelets, red blood cells and white blood cells in the bone marrow, with the effects on the white blood cells being the most pronounced in this disease. CML was the first cancer diagnosed with a direct genetic link, which accounts for a significant fracture of leukaemias diagnosed. In this disease, the protein kinase receptor BCR-ABL is overactive, a key cell proliferation centre, which then leads to over proliferation and thus, more myeloid stem cells, which can transform into abnormal blood cells. 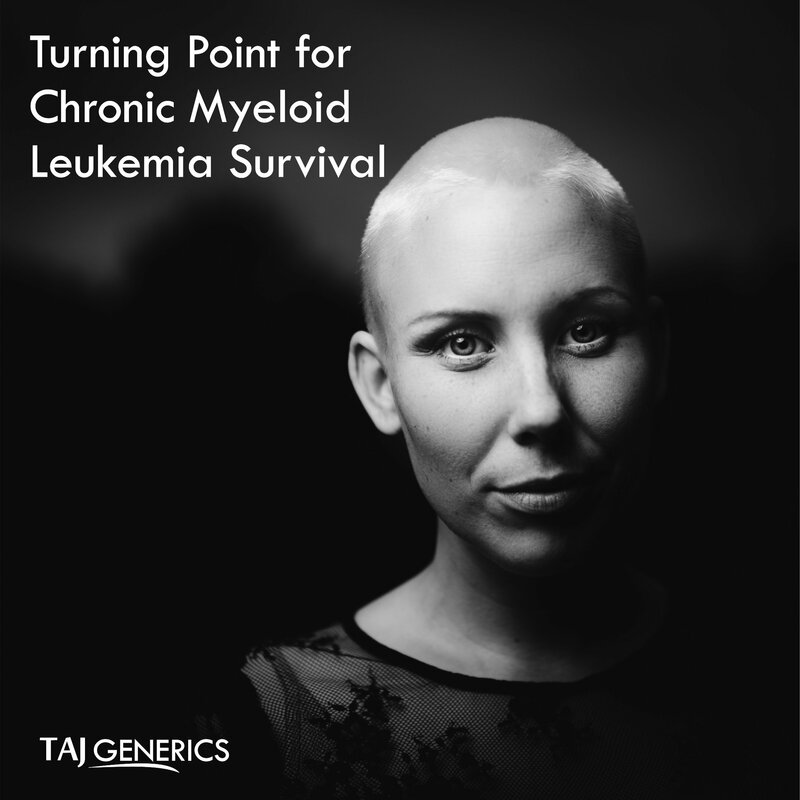 Imatinib mesylate was the first tyrosine kinase inhibitor used in the treatment of such a condition, leading to a marked improvement in survival rates for CML. 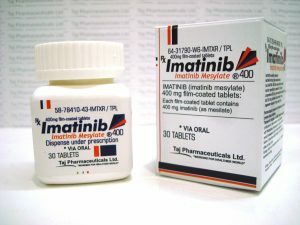 A follow-up in the New England Journal of Medicine in 2006 looked at the difference in Imatinib after five years of diagnosis in comparison to the use of Interferon Alpha combined with Cytarabine, a less specific treatment. Patients, which had been treated with Imatinib had a response rate to the drug of 87 % within the first five years, with patients also having an 89 % survival rate. Patients, which gained a full cytogenetic response to the drug, meaning that there was an alteration to the chromosome containing the irregular BCR-ABL gene of interest, also showed a reduction of risk for disease progression by up to 3 log, or a factor of 100,000. 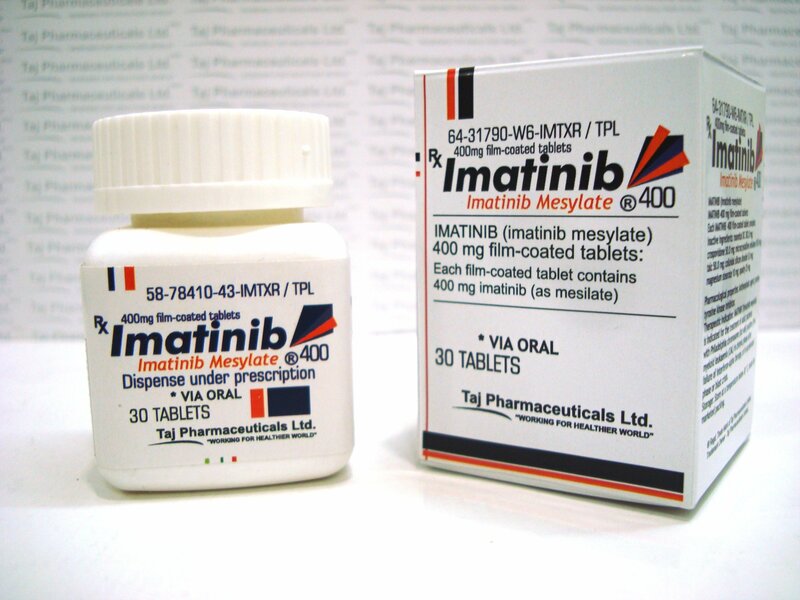 Imatinib is available with Taj Generics Pharmaceuticals in 100 mg and 400 mg tablet forms. As Imatinib is orally active, this leads to an increased patient acceptability, as well as potentially reducing costs for healthcare environments in the long run.